Jack Screws & “SEMS” Jack Screws. These Jack Screws are used as mounting screws for “D” subminiature connectors. They are equivalent to AMP, CANNON & TRW Jack Screws. Standard Jack Screws are available with a 4-40 Thread, in lengths of .250 (6.35), .312 (7.92) and 625 (15.88). Other sizes available upon request. Manufactured in Steel with either Clear Zinc Finish and Yellow Chromate Finish or in Stainless Steel. They are furnished individually in bulk, or as a kit with (2) flat washers, (1) lockwasher and (1) hex nut – supplied unassembled. 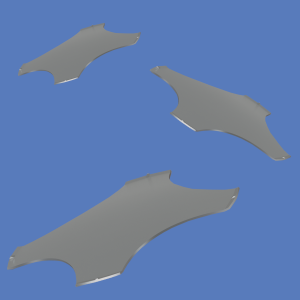 They are available in lengths of .285 (7.24), .347 (8.81) and .660 (16.76). Other sizes available upon request. These “Sems” Screws are manufactured from Steel with Zinc plate and Clear Chromate finish. They feature captivated helical spring lockwashers that speed and simplify use. They are furnished individually, in bulk or as a kit with (2) flat washers (1) lock washer and (1) hex nut – supplied unassembled. Slotted Head in bulk or as a kit with (2) flat washers, (1) lockwasher, and (1) hex nut – supplied unassembled. 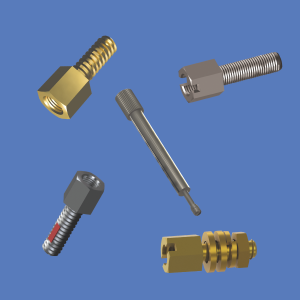 Jack Screw with Nylon Patch are ideal for applications that require thread locking. Knurled Turnable types in direct access, straight knurl and slim line configurations. Refer to Keystone’s Catalog for our complete product offering and specifications. Available on tape and reel for automated pick and place assembly applications. “Key-Pad” domes are not designed to be soldered to board. Adhesive spacer material available to create standard and custom keypad arrays. Provides the proper spacing between the circuit board and the top sealing surface for the “Key-Pad” Dome. • Material: Stainless Steel, Nickel Plated. • Operating Temperature: -40°C. to +105°C. • Storage Temperature: -55°C. to 125°C. For T-1 and T-1 3/4 LEDs. Available in Red, Green, Yellow and Clear. 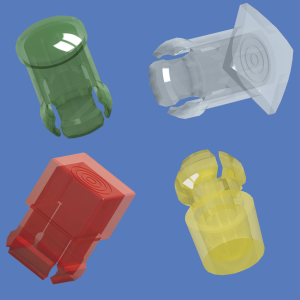 Designed for use with T-1 or T-1 3/4 LEDs, these Lens Caps are available in round or square configurations. They snap-mount through the front panel for easy, light-finger pressure installation. The LED is inserted into the cap from behind the panel and held securely in place. The lens Cap protects the LED from physical damage while guarding the components from electrostatic discharge (ESD), up to 16KV. More economical than indicator light assemblies, the caps feature striated lines and fresnel rings that function with either diffused or non-diffused LED’s. They provide exceptionally high contrast and visibility. For T-1 and T-1 3/4 LEDs – Bi-Lead and Tri-Lead Spacer Mounts. “Self-Aligning” (Bi-Lead), “Self-Retaining” (Bi-Lead) and “Universal” (Tri-Lead) LED Spacer Mounts assure consistent, uniform and perpendicular mounting of the LEDs while reducing labor costs and facilitating assembly. The “Self-Aligning” mounts for Bi-Lead T-1 and T-1 3/4 LED’s are uniquely designed and feature an internal tapered barrier that guides the LED’s leads through the device to assure positive self alignment on 0.100″ (2.54mm) centers. The design also eliminates the possibility of crimping or shorting of the LED leads. No special tooling is required to efficiently preassemble printed circuit boards. Molded from Nylon material and UL rated 94V-2, these mounts provide height control from 0.120″ to 0.925″ (3.04mm to 23.49mm) with 0.020″ (0.5mm) bosses that lift the mount to serve the dual purpose of heat dissipation and post solder clean-up. Keystone’s “Universal” spacer mounts accommodate both Tri-Lead and Bi-Lead T-1 and T-1 3/4 LEDs. These solid devices are molded from Black PVC material and are UL rated 94V-0. 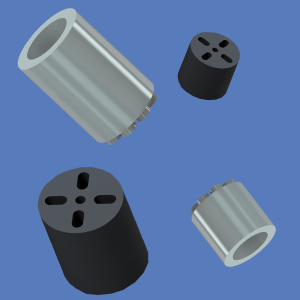 Available in lengths from 3.04mm to 23.49mm they include special features to separate and retain component leads, facilitate PCB mounting, and are suitable for use with lamps, resistors, transistors, diodes, capacitors.